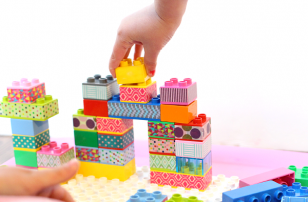 Build Preschool Thematic Units – What’s Inside? 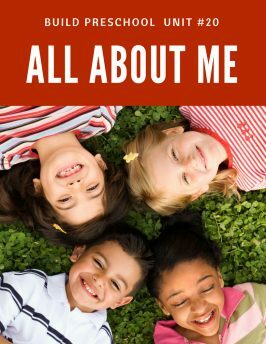 This thematic unit is packed with great lesson plans that focus on learning about the self, emotions, senses, family, and the classroom community. The activities focus on the students”™ names, measuring, learning about feelings, and a big focus on sensory activities. Of course, there are a few fun self-portrait activities too. 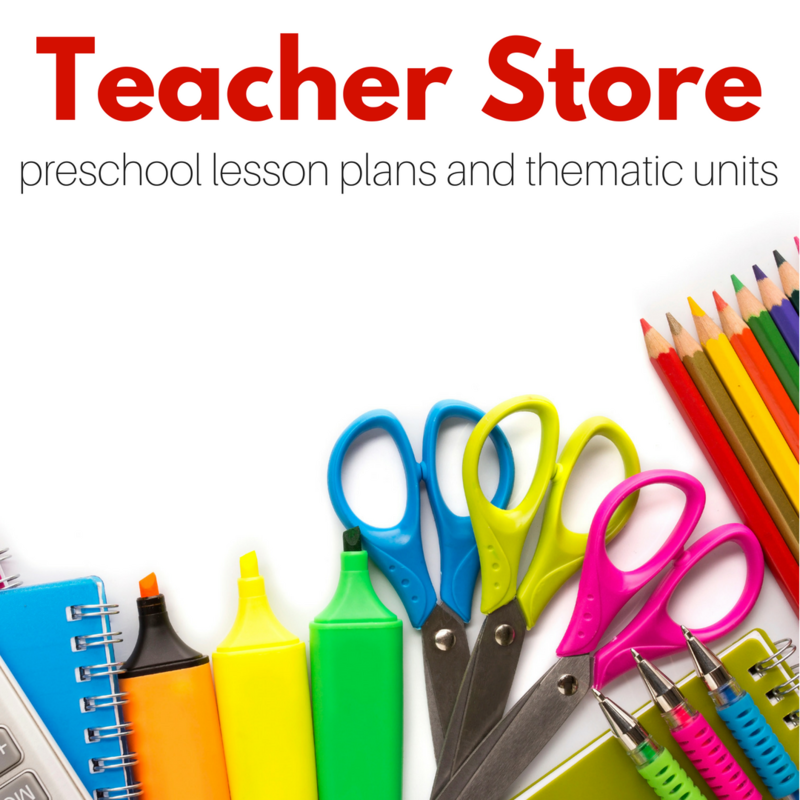 The best part about this unit is that many of the activities fit into a preschool classroom no matter what theme you are presently following or if you have no theme at all. The most requested theme from Build Preschool fans has finally been made into a unit. 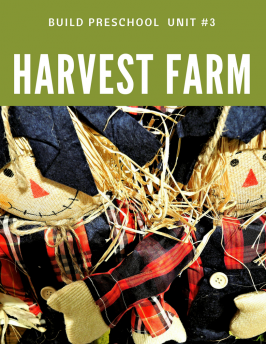 Packed with pretend play, fossils, dinosaur eggs, hands-on math activities, and a lot of fine motor skills practice that feels like play. 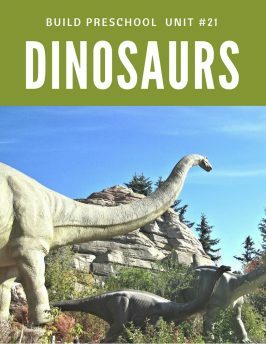 This dinosaur thematic unit has circle time lesson plans that use the excitement of dinosaurs to build skills and scaffold new learning. It also has super cute printables! This unit has a strong sensory component but also includes math puzzles, classifying, practical life, shape matching and more. Of course, all the manipulatives needed are provided as printable for these hands on activities. 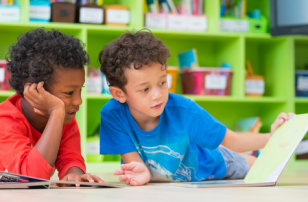 Circle time lessons include a focus on emotions and listening skills. 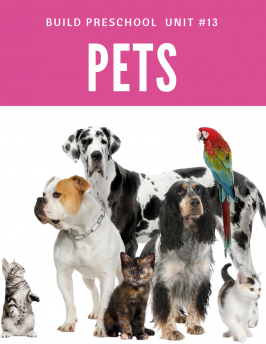 In this unit, children explore what it means to take care of pets, the difference between pets and wild animals, and have a chance to create some of their own. There are activities on visual discrimination, sequencing, sorting, and some great pretend play too. The art projects range from exploring painting with feathers and marbles to crafting your own pet turtle! 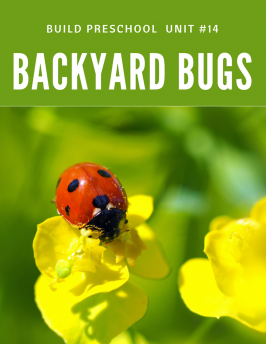 I love teaching about bugs because they are so accessible for the children, just go outside and you can find some to investigate! In this unit, you will find number puzzles, explore symmetry, match upper and lowercase letters, and even learn a little about nutrition. There is also color matching and of course you will explore the butterfly life cycle. Science that children can see every day is the best science! 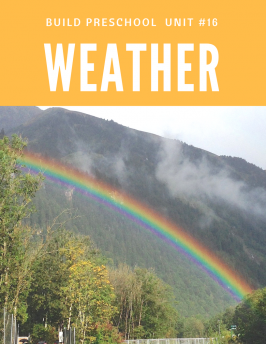 This weather unit explores all kinds of weather through books, hands-on activities, and of course colorful art projects. 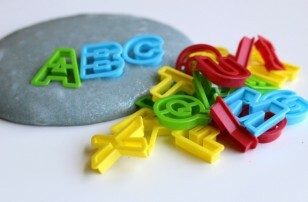 There is awesome sensory play with water and something a little squishier, letter recognition, counting, and more. If you love rainbows you have to check out this unit! 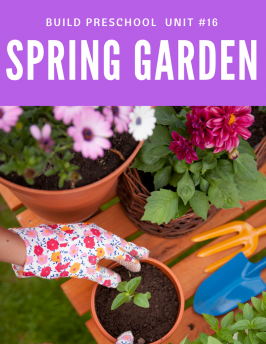 This unit focuses on plant growth, flowers, and all the beautiful ways our gardens change in the spring. There is dramatic play, letter matching garden gnomes, color matching, scissor skills and lots of fine motor skill development too. Oh, and of course there is some bean sprouts to grow as well. 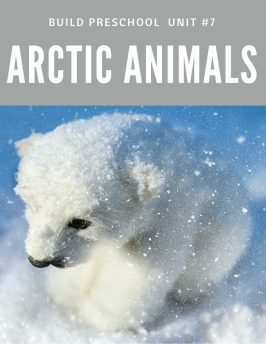 This unit explores animals in the Arctic with printable number puzzles, hands-on literacy and math activities with colorful and engaging printables. Circle time activities that incorporate emotions and sensory activities as well as a unicorn… you’ll see! 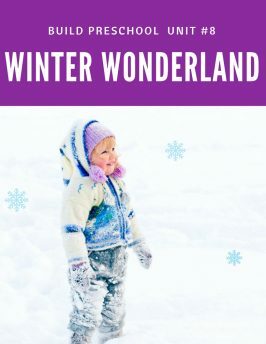 Explore winter and all the magical things that this season has to offer like snowflakes, snowmen, and ice! There are opportunities to learn about letters with a sensory twist, work on scissor skills, subitizing, fine motor work, and wonderful printable winter sequence cards! 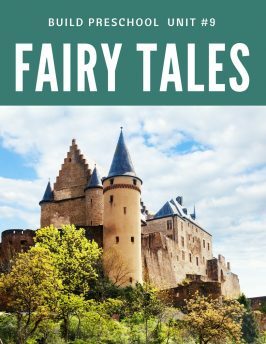 This unit dives into the world of make-believe and using old favorites or their fractured versions of the fairy tales including Jack and The Beanstalk, Goldilocks and The Three Bears, The Three Little Pigs, Rapunzel and more! 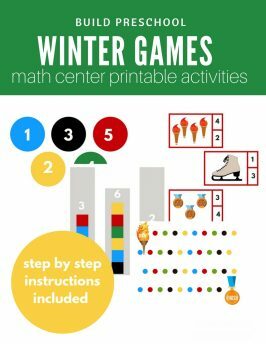 You will find a printable number puzzle, STEM activities, estimation, and cooking activities inside as well as plenty of pretend and sensory play. 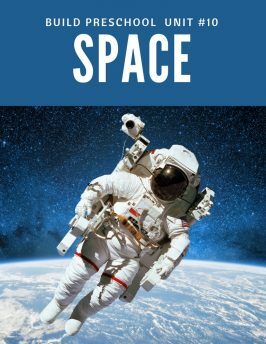 This thematic unit will launch you into out of this world hands-on learning. Lots of process art, STEM activities, and a wonderful book list start this unit off right. Rocket literacy activities, pretend play, shapes, and a comet or two round this wonderfully active unit off. 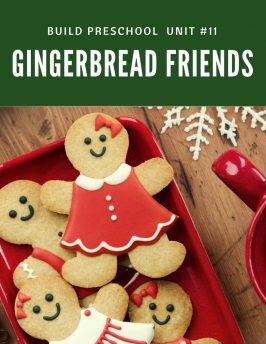 This is a great unit for older kids home for winter break because it has many activities that are easy to differentiate! 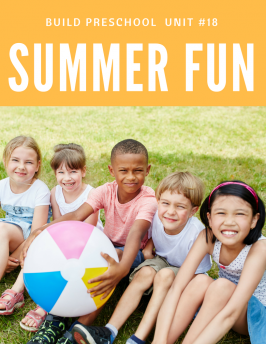 This unit explores all the fun things about summer from the beach to watermelon, from flip-flops to beach balls! 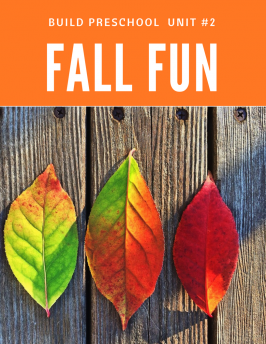 Learning about seasons, exploring senses and more create a fun and engaging summer unit. There are literacy, math, sensory, and of course fun art projects too! 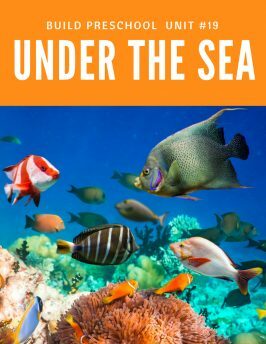 This unit is all about sea creatures and exploring what is swimming under the waves. Like all the units there are literacy, math, art, and fantastic sensory play ideas. 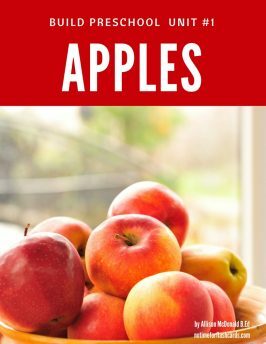 There is a great book list and fun and interactive circle time lessons too! 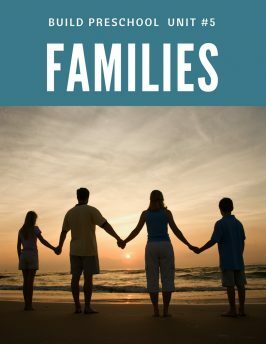 This mini unit drives home the idea that all families are different while simultaneously building student’s pride in their roots. Skills such as sequencing, counting, and graphing are developed as families are explored. Creative and meaningful art projects focusing on each student’s families are the focus for the art table. 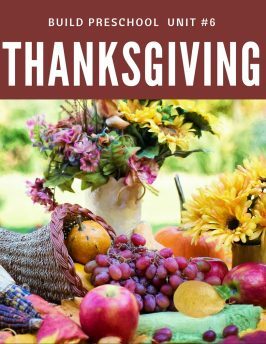 This mini unit focuses on family traditions, food to share, and being thankful. 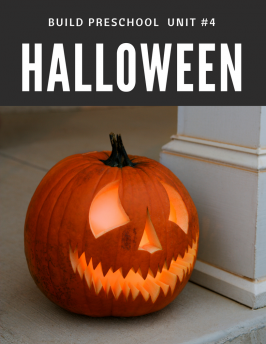 Children will have fun matching the two sides of pumpkin pie puzzles, lowercase letters, and decorating their own turkey. Circle time and the art table focus on being thankful as well. There are no Native Americans or Pilgrims which makes this unit appropriate for Canadian and American students. This unit explores children’s senses with sensory play including scented painting and visual discrimination. 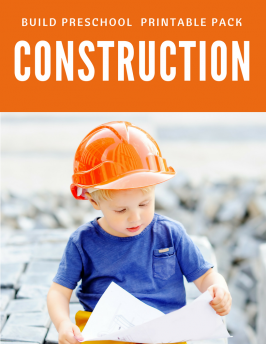 Creative free choice ideas including fine motor, number sequencing and more! 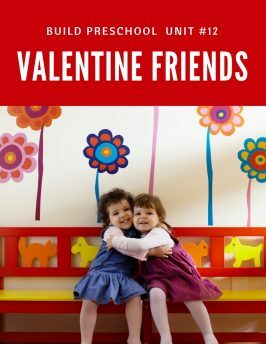 This mini-unit focuses on friendship and kindness with fun center activities that work on pattern matching, tower building, counting and more. Of course, there are lots of hearts too! 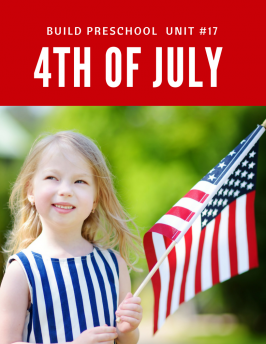 This mini unit explores the 4th of July with five 4th of July preschool circle time lessons, five 4th of July preschool art projects, five free choice activities including literacy, math, and sensory play as well as a book list and a printable fingerplay! 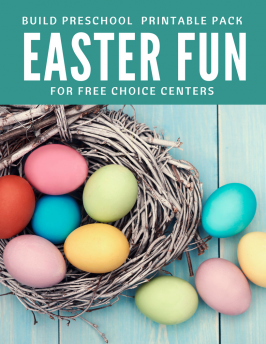 These printable packs all consist of printable hands-on activities you can use for learning centers and free choice. They are priced individually based on the time it took me to create the packs and number of activities. Click on the cover image to be taken to the post for each.